There are many types of wonderful primates. But Primates Incorporated can only retire certain species. Can you guess which and why? Click on their faces to learn more about each. 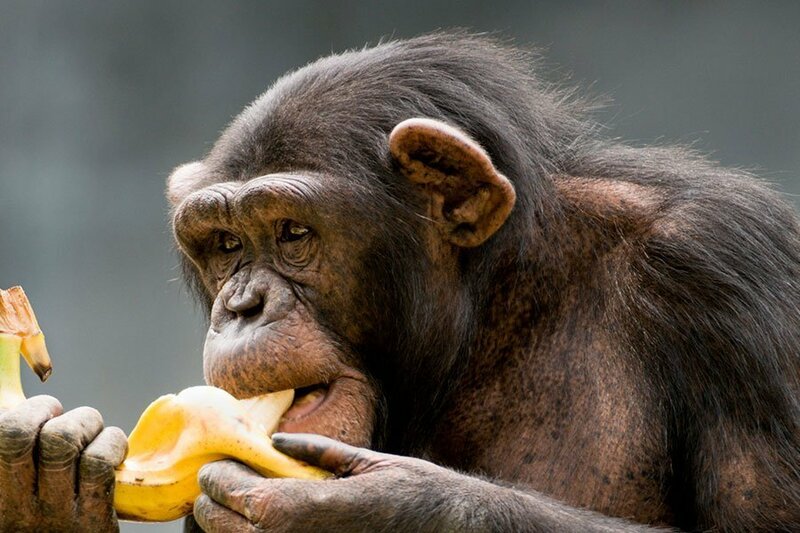 Chimps aren’t monkeys, like Gorillas, they’re apes. But apes and monkeys are interestingly, both Primates! Primates are mammals that share many unique characteristics. In general, they have hair instead of fur, a higher brain-to-body size ratio and more intelligence than other animals. Most have fingernails instead of claws. They also have finger pads, and opposable thumbs which give them the ability to grasp with their fingers and/or toes. 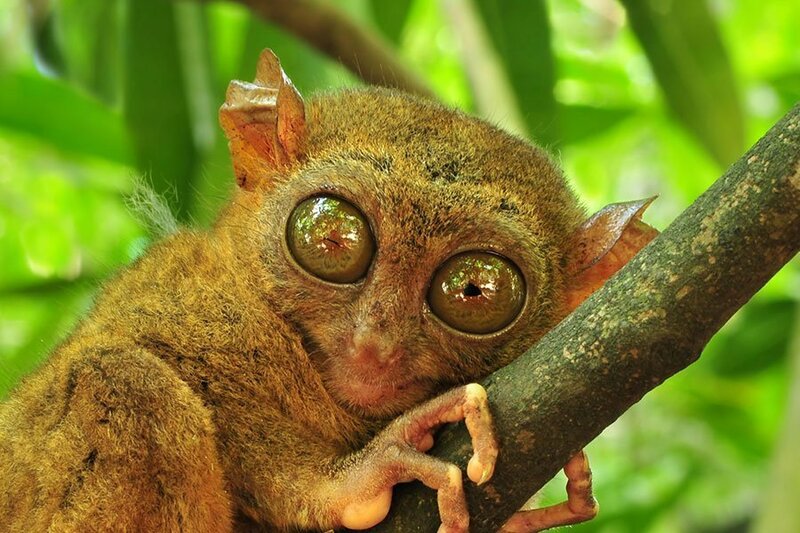 Most primates, except for the more primitive species, are active during the day and rely more on vision than on smell. Because their eyes tend to be on the front of their face, they have binocular vision, meaning they have depth perception. Unknown to many, monkeys are not apes. Great apes belong to the distinct superfamily hominoidea, and are genetically and physically very different from monkeys. 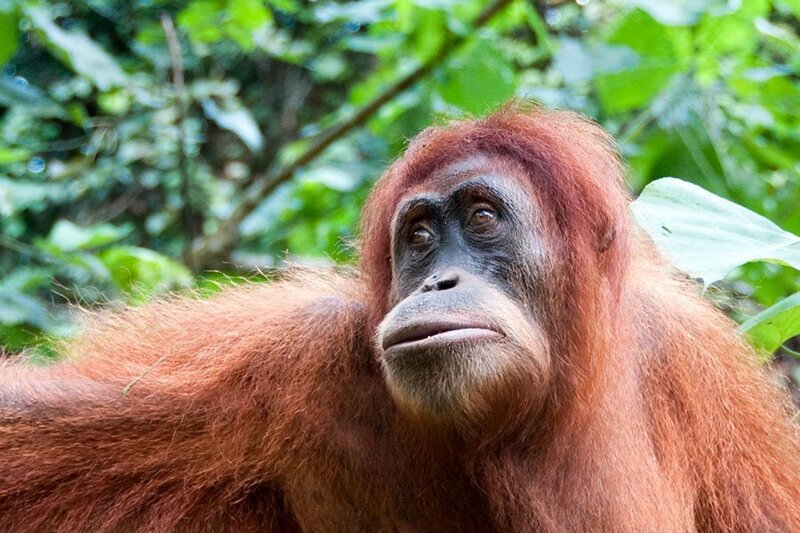 Surprisingly, there are only 5 distinct species of great apes and over 100 species of monkeys. 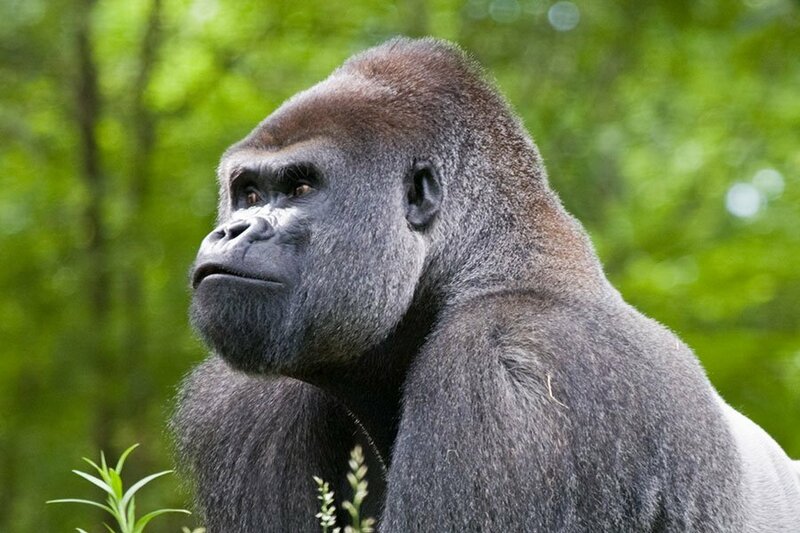 Yet great apes tend to attract a wider audience due to their genetic and behavioral similarities to humans. Great ape retirement from biomedical research has been a priority for years; however, monkeys have not received the same advocacy. Now that chimpanzees have been retired from research, it is time to focus on retiring monkeys since thousands are living in research laboratories and they too are primates deserving of our respect. Note: The examples above represent the 5 different groups of primates. 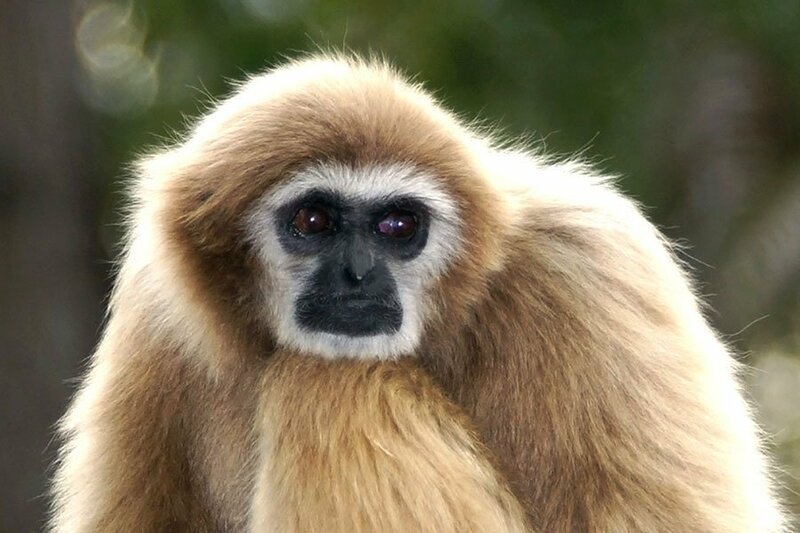 There are over 100 species of monkeys. It wouldn’t be realistic to show them all here. Currently, there are approximately 110,000 monkeys living in U.S. laboratories (~8,000 are living in Madison, WI). Amy Kerwin founded Primates Incorporated in 2004 while she was working with 97 rhesus monkeys in a laboratory at UW Madison. She discovered their amazing intelligence and individual personalities, and concluded there had to be a way to both improve their welfare and increase the frequency of their retirement into primate sanctuaries. She began networking with other primate sanctuaries and discovered most of them were near capacity and were forced to turn away researchers looking to do the right thing. The reality is that monkeys who are rejected from retirement are sold to more studies, kept on as breeders, or euthanized to free up their cages. Additionally, thousands of monkeys are bought and sold in the exotic pet trade. Monkeys do not make good pets in people’s homes. They become aggressive toward humans as they age and often times are sent to a primate sanctuary as a solution. In fact most of the primate sanctuaries initially neared capacity by rescuing ex-pet monkeys. Ex-pet monkeys are very difficult to rehabilitate since they were raised in an unnatural environment with humans. Cynomologus monkeys, one of the most prevalent monkeys used in research, live to an average age of 38 years old in captivity. They get retired from research at all ages—it depends on the study. It is up to the researcher to take the initiative to retire the monkeys. Every year, additional researchers are considering retirement for the healthy monkeys in their studies. What are the regulations for housing monkeys? Primates Incorporated (PI) will obtain licensing by the USDA under the category “exhibitor”–the only realistic category the USDA has for animal sanctuary. The University of Wisconsin is licensed by the USDA as a “research facility”. Since Primates Incorporated will have USDA licensing in common with research facilities, transfer of primates from the research facility to the sanctuary will be a smooth transition. 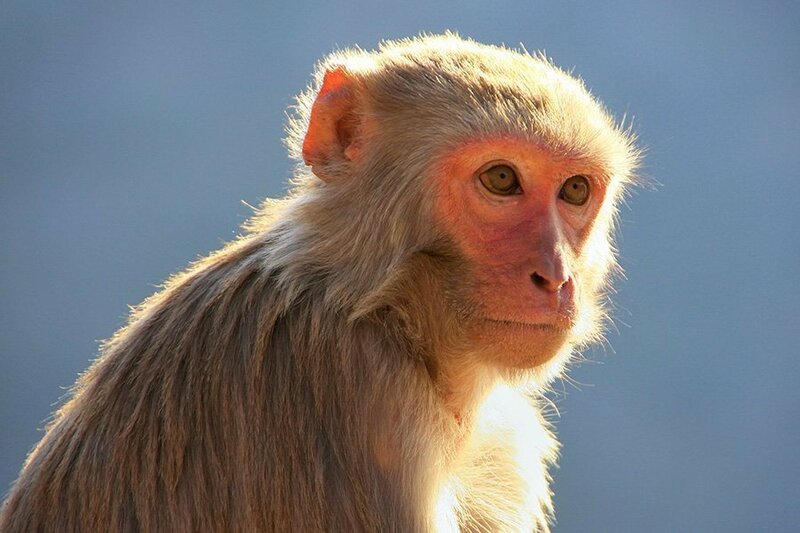 Many monkeys retired from research are involved in various toxicology studies – where the effect of the drug or chemical is tested on their whole body system. After testing has ceased, the drug or chemical leaves the body, and the monkey is healthy again (unless the test harmed the animal beyond recovery or it was a planned terminal study). Additionally, there are “control” monkeys, laboratory “favorites,” breeders, and monkeys used in cognitive testing studies who could also be retired. We will require all monkeys to have a clean bill of health before arrival to the sanctuary. Laboratories have on-site veterinarians who can provide a full physical and blood analysis to ensure the monkey has a clean bill of health before departure. 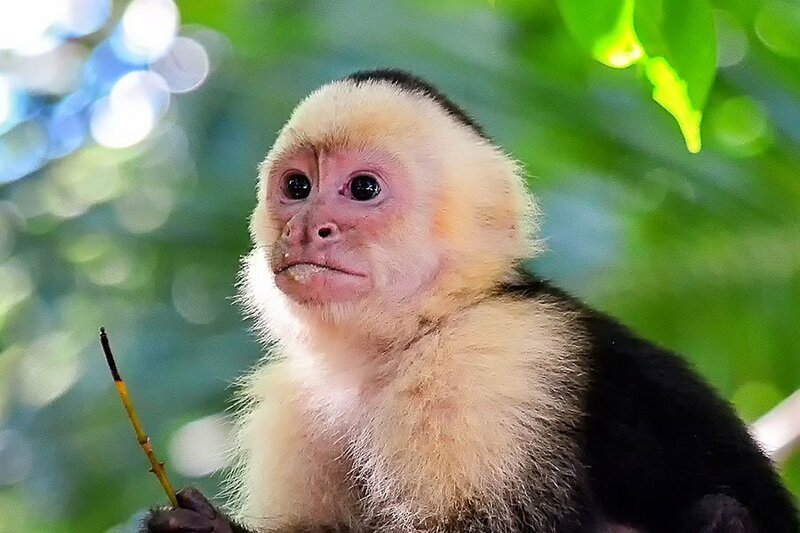 Any monkeys coming from situations where a veterinarian is not able to provide a physical, such as in the case of a pet monkey, will receive a full physical on site and blood analysis by our attending veterinarian. Monkeys are quiet most of the time while they perform their most common social activities: foraging and grooming one another. Would you like to retire a monkey? Wouldn’t it improve employee morale if researchers could see the monkeys live out their last days with dignity in spacious and enriching environments? Retirement is good for the monkeys and humans. Thank you for wanting to plan for the retirement of the monkeys under your care! If it is your first time retiring monkeys from your laboratory and you would like to be connected with other researchers who have retirement programs in place, please let us know. 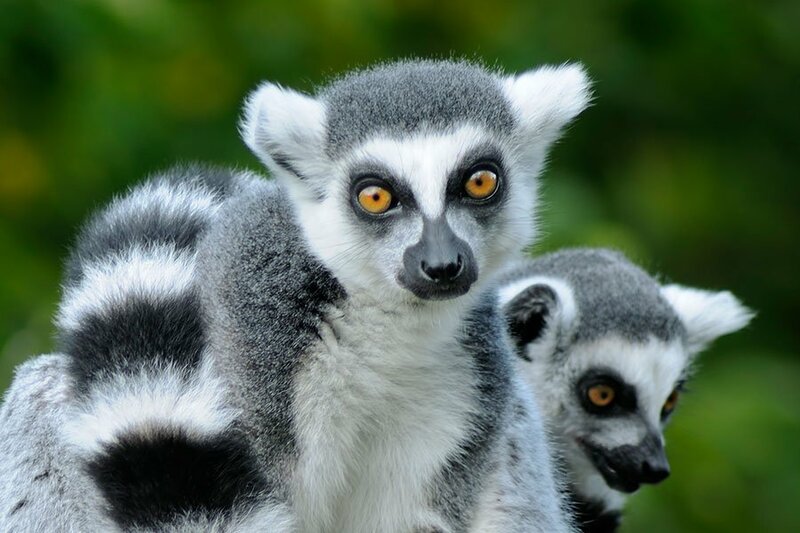 We would be happy to connect you so that you can develop a standardized primate retirement program without having to painstakingly start from scratch. If you are interested in retiring a monkey from a research facility: we require a clean bill of health within 10 days of departure, we create a waiting list to prepare the environment, and we do request funding as it costs a lot to provide specialized care to monkeys for the rest of their lives. If you are a pet monkey owner looking to retire your monkey, we will discuss the situation and funding strategy. If a retirement commitment is made, we will create a waiting list and require a clean bill of health/physical from a veterinarian 10 days before departure to the sanctuary. If you are having a difficult time obtaining a veterinarian, please let us know, we may be able to connect you with a clinic to ensure the monkey receives a full physical. Please contact amy@primatesinc.com to discuss your retirement details. Thanks! Providing specialized care to primates is very costly. Please share our donation link with your friends and family to help support their lifetime care. What types of enrichment will you provide the monkeys? We will have a combination of natural and artificial vegetation throughout the monkey sanctuary. Our goal is to simulate the life the monkeys would be living in the wild. They travel and forage as a means for diet and enrichment. We will have three different enclosures for them to travel through; we will place treats such as sunflower seeds and raisins on the ground in the straw bedding to stimulate foraging behavior. Outdoors, we will utilize the trees already on the property by building the enclosures around them. Monkeys are wild animals and thus need to be treated with dignity and caution. We let the monkeys be monkeys by allowing them to communicate with each other while providing them with plenty of foraging opportunities, balanced diet with plenty of fruits and vegetables, food puzzles, and multiple environments to create a natural environment for them. USDA licensing requires that the public stay at least three feet from the enclosure. To ensure maximum safety, we will abide by a six foot rule from our enclosures when we give the small, supervised tours by appointment only. Please do not buy a pet monkey either! They look cute and cuddly online but they can lash out at you or a stranger – and getting a veterinarian to help you will be very tough because so many are ethically against owning a wild animal as a pet. Sadly, many pet monkeys wind up at sanctuaries – they are harder to socialize because they have not been around other primates – and they leave less room for sanctuaries to retire monkeys from laboratories. For more information on why you should not buy a pet monkey, please read the book, Monkeys Don’t Wear Diapers by Polly Schultz. ©2018 Primates Incorporated. All Rights Reserved.